DEC fielded an unusually high number of complaints about run-ins with bruins this year. Bears caused a lot of trouble this summer. Jean Belanger was starting a climb at the Beer Walls in Chapel Pond Canyon when his girlfriend, Isabel Rodriguez, yelled up to him to come down right away. “That usually means I have a spider on my back,” Belanger said. Bear experts recommend that people do what Belanger did when they encounter a black bear in the woods: make a lot of noise to scare the animal away. Black bears are generally fearful of humans, unless they have come to associate people with food. In these cases, the bears can become bold but will still usually run from people. In this case, the bears left, and Belanger and Rodriguez headed toward the road. But on the way out, they encountered another cub, which actually got between them. “The way he was bouncing around, he looked like he wanted to play,” he said. Bear encounters in the backcountry and in residential areas were much more common than usual this summer in the Adirondack Park. 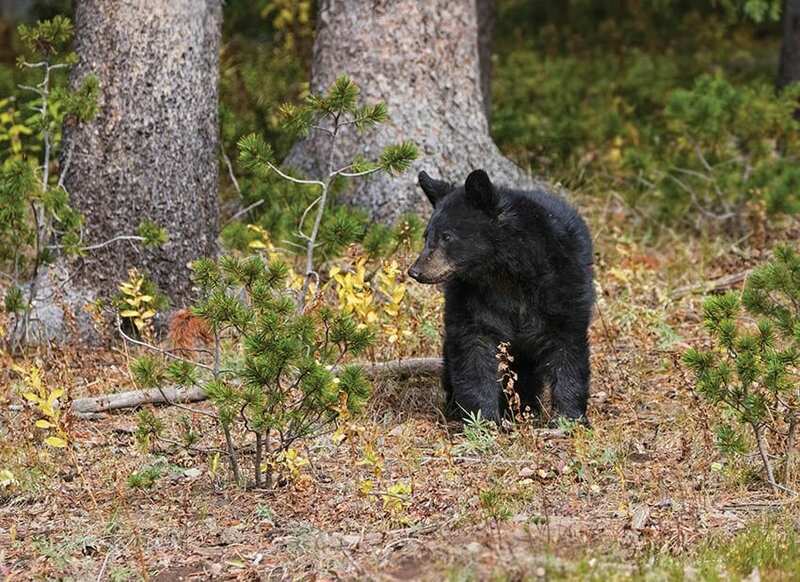 Jim Stickles, a wildlife biologist with the state Department of Environmental Conservation, said there were about 150 bear complaints in DEC’s Region 5—which comprises about two-thirds of the Park—as of early September. As a result, the department euthanized a half-dozen bears in the region. There were only ninety complaints about bears in each of the prior two years. In the backcountry, bears have stolen food from campsites and approached hikers on the trail; in residential areas, they have knocked over bird feeders and raided garbage cans. DEC has received complaints in Saranac Lake, Raquette Lake, Tupper Lake, Chestertown, Keene, Keene Valley, Speculator, Long Lake, Inlet, and Old Forge. Scientists cite this summer’s hot, dry weather as a big reason for the high number of bear incidents. As a result of the weather, the bear’s natural food sources, such as berries, were in short supply. Also, the lack of rain drew more visitors to the Adirondacks, meaning more people were in bear habitat. “We started off the year really dry. We didn’t have the snowmelt we normally do, and the berry crops, they just weren’t there this summer, at least not that I noticed, so there just wasn’t available food,” Stickles said. Scientists believe dry weather forced bears to wander far in search of food. In Old Forge, which is in DEC Region 6, problems persisted from mid-July into September, but the community traditionally has a lot of bear incidents. 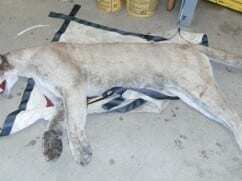 “It was busy, but I wouldn’t call it out-of-control busy,” said DEC wildlife biologist Steve Herkins. Herkins said there was a lot of “fairly typical Old Forge stuff,” including car break-ins and damaged sheds. In one case, the inside of an automobile was completely destroyed when the bear couldn’t find its way out. In another incident, a sow and two cubs entered a house in the middle of the afternoon and encountered the owner. No one was hurt, but DEC killed the bears. Overall, six bears were euthanized in the Old Forge area. A female bear was put to death after she was hit by a vehicle and seriously injured. Herkins said the injured bear could have posed a problem. “It was near someone’s garage underneath a turned-over canoe,” he said. Eight other bears were killed in car accidents in the Old Forge vicinity. Herkins said the number of bear complaints seems to spike on regular cycles, perhaps reflecting spikes in the bear population. “Every four years we peak … and then the next year the complaints kind of fall right off,” he said. Herkins said human behavior also is partly to blame for bear incidents. “There are people, you can see it, they are driving around the community at last light, and they are looking for bear and deer, and at least in some of those cases, they are throwing food to those animals,” he said. Bear incidents have long been a problem in the High Peaks Wilderness, especially at popular camping areas such as Marcy Dam, Lake Colden, and the Flowed Lands, but they appeared to be more frequent this past summer. “There were hundreds of conflicts back there, and in the past five years, I don’t know if there have been more than a hundred per year,” said Zoe Smith of the Wildlife Conservation Society, which keeps tabs on bear activity in the High Peaks. The nonprofit hires two bear stewards every summer: one is stationed at the Upper Works trailhead in Newcomb; the other visits trailheads near Lake Placid and Keene Valley. 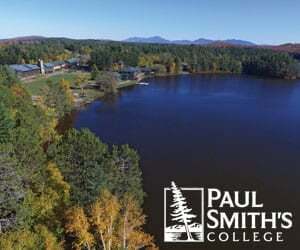 Smith said surveys done by the stewards found that many High Peaks backpackers lack experience camping in bear country and run into problems, even if they bring bear-resistant food canisters. Some people, for instance, discover when they get to a campsite that they have carried in more food than can fit in their canisters. 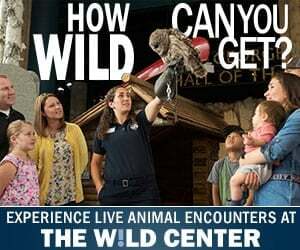 “So they are doing things like trying to bury their garbage, bury their food, or keep it in their tent instead of prepacking their canister or finding a ranger to help them do something differently,” Smith said. Because of the high number of incidents, the Wildlife Conservation Society is thinking about increasing its presence in the backcountry near camping areas next summer. But even experienced backcountry users had run-ins with bears this summer because the animals were uncommonly bold. Tom Manitta, a naturalist with the Adirondack Mountain Club, was part of a small group that encountered a bear in July near Slant Rock in the High Peaks. The bear had been approaching other hikers and campers and taking their food, but no injuries were reported. 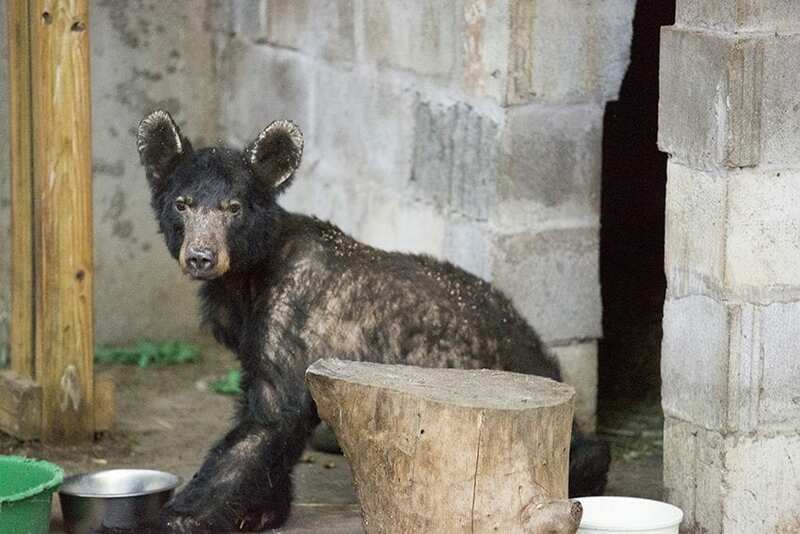 The Adirondack Wildlife Refuge rescued an emaciated young bear this year. 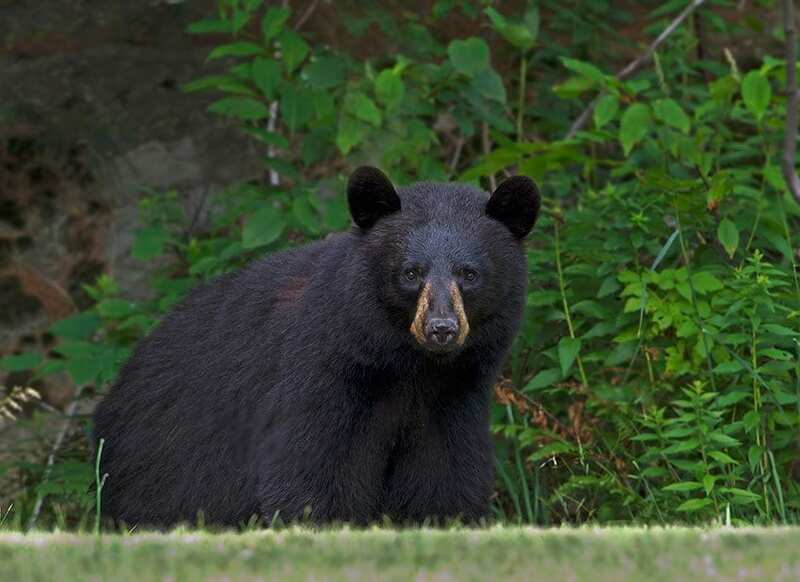 Despite all of the black-bear incidents this year, including many close encounters in the woods and in residential areas, there were no reported injuries to people. Historically, few people have been injured by bears in the Adirondacks, although many have come extremely close to them. In 2015, a hiker got tangled up with a black bear in the southern Adirondacks and suffered life-threatening wounds but survived after a trip to the hospital. The hiker had been trying to save his dog from the bear. A few years before that, a woman used a pocketknife to fend off a bear that she says stalked and ultimately approached her on the Northville-Placid Trail. She was not hurt. The only known fatal bear attack in New York State occurred in 2002 when a young male bear killed an infant in the Catskills. However, black bears have killed people in Algonquin Park in Canada, Glacier National Park in Montana, and other places. Fatal attacks are rare, but they do occur. Some scientists says it’s not in the DNA of black bears to go after humans. They are omnivores that eat, among other things, skunk cabbage in the spring, berries in the summer, and tree mast in the fall. When they eat meat, it might be a small deer or even a bear cub. When bears in the Adirondacks do injure humans, it’s usually because they are protecting their cubs or have come in contact with people while seeking food at a campsite or home.